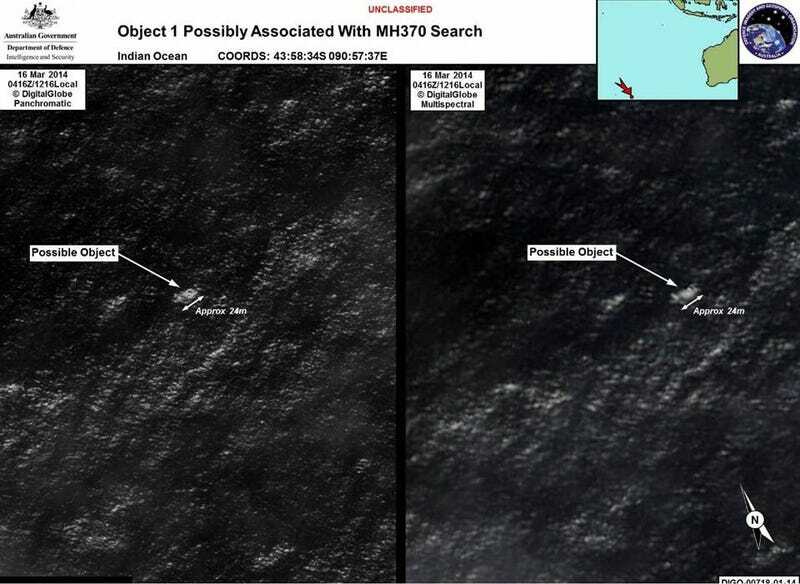 Around noon on Thursday local time, Australia Prime Minister Tony Abbott revealed to Parliament that two objects of debris,"possibly related" to Flight 370 had been observed in satellite photos captured March 16th near the "southern arc" area being searched the past couple of days, about 1,400 miles west-southwest of Perth Australia. The largest piece is estimated to measure 24 meters (75 feet) in length. This happened just a few hours after officials announced the search area had been narrowed. Ships and surveillance aircraft were sent into the area, in hopes of getting visual confirmation of debris from the Boeing 777-200 that disappeared 13 days ago. Search efforts were hampered by low visibility at the surface on Thursday afternoon. This is an area called the Indian Ocean Gyre. The gyre is an area of little to no oceanic current, and a spot known for collecting debris.